Van Gogh arrived here in the late 19th century, and this beautiful region inspired some of his greatest work: the chiseled teeth of the Van Gogh Alpilles mountains that soar high above the Rhône Valley, the sunflower fields, the olives groves, the Mistral winds that rhythmically sweep the lone cypress tree. 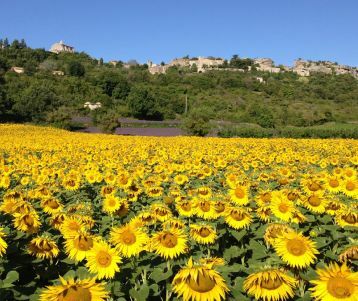 You will spend time in the artsy town of Saint-Rémy, the spectacular perched village of Les Baux, the nice little village of Maussane, and the Roman city of Arles along the way. Transfer from Avignon towards St Remy de Provence (20 min). 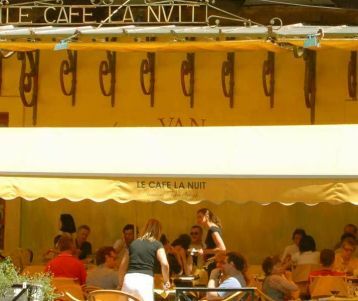 Explore the artsy Saint-Rémy and its environs, the museum of Van Gogh’s paintbrush. Head into the sunlit hills to discover the remains of the Roman town of Glanum. Today’s scenic forestry path hovers high above the valley, giving you spectacular views. Your walking path descends through the village of Maussane. 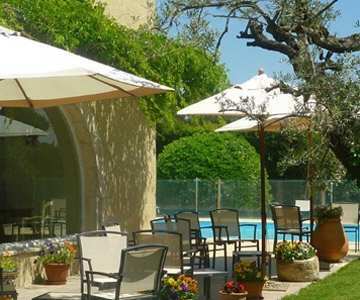 Visit the famed 17th century Cornille mill where you can taste one of Provence’s best olive oils! 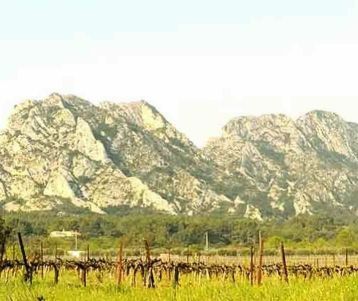 Back to les Baux along cypress lines and vineyards. 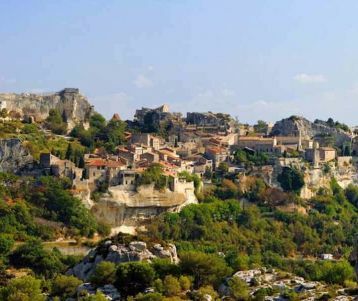 Your walking day continues with a circular walk up to the sculpted limestone “valley of hell” towards the perched village of Les Baux de Provence: its homes packed tightly and defiantly on top of the cragged rock, earning its listing as one of the most beautiful villages in France. 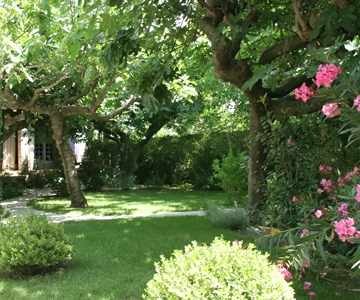 You then continue towards the renowned silvery-green olive groves, and back to the village of Maussane. 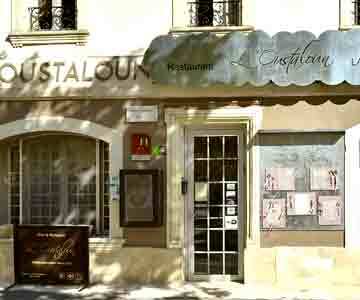 Short transfer to les Baux village, start of your walk. 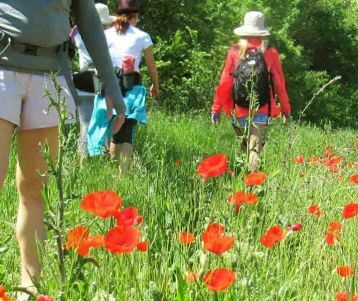 You head westward on the ridge path, with outstanding views of Mont Ventoux, the Montagnette and the Rhône Valley, all the way to the very end of the Alpilles range. Descend through hills and pine forests to the 12th century Romanesque Saint Gabriel Chapel. 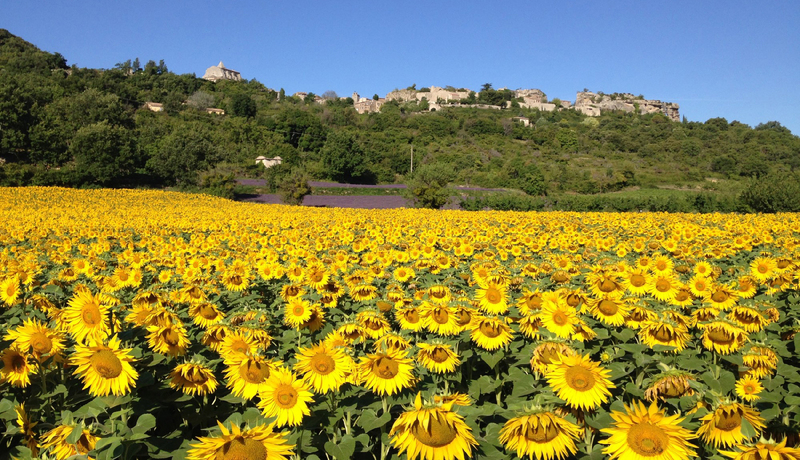 A short transfer (15 min) drops you in Arles, in the heart of the roman city, to explore Van Gogh’s second home, and discover the treasures of the city’s Romanesque center !